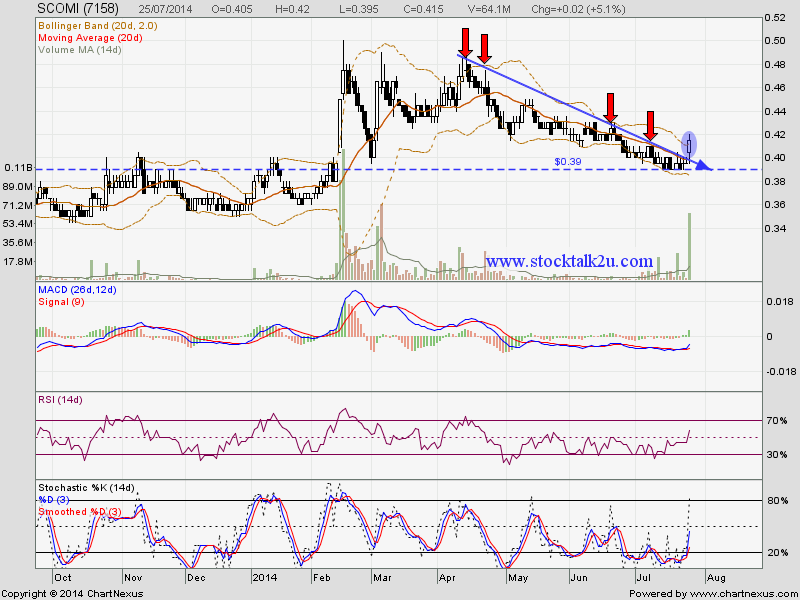 SCOMI succeed breakout MA20 resistance level. immediate support @ MA200 which is RM0.405 level. subsequent support @ MA20, which is RM0.40 level.